Hi! How was your weekend? Mine was nice and chill, with no big plans. It was cold and rainy in ATL this weekend, so I just kind of wanted to stay in. I just wanted to check in and show you guys what my life has been like lately. I received this photo from Lauren Gelston, a designer down in Tampa that I work with really regularly. We have never met in real life, but she is always commissioning paintings from me for her clients - and I love her taste. Here is a watercolor I did back in the fall... it's all framed now and installed. She said she and her clients love it, and I love the room it's in. Beautiful design work, huh?! Here is a post I made about it when it was in the works. They are actually commissioning another one that will be similar but in different colors. We've been hard at work for Elbow Room, designing away. 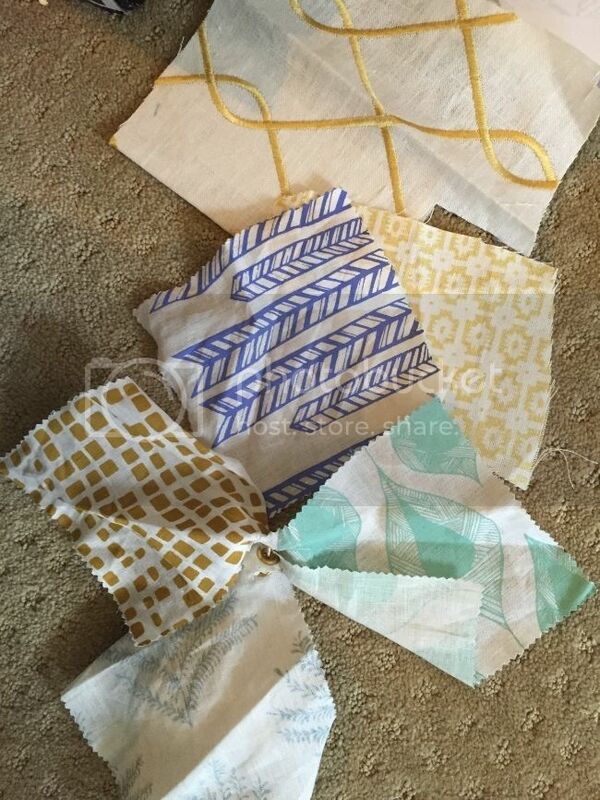 It's mainly the preplanning stages now, and I wanted to show you some colors/fabrics we are probably using for an episode. I will be doing some painting work based off of these colors -- fun! I'm having a great time working with the team/show; everything has been great so far. 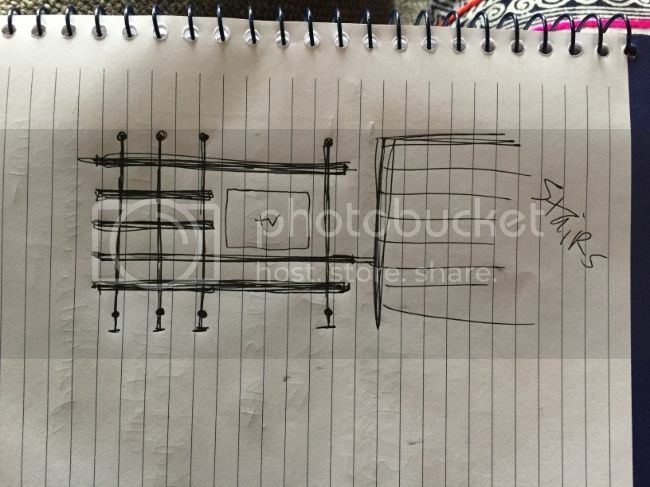 here is the plan I sketched out for the builder. His TV was just hung though, so I think we are going to do a right-side orientation for the TV. He travels a lot, and has lots of cool knick knacks from his travels that currently don't have a home. They need to be more prioritized (and get out of the sun in his windowsill!!! 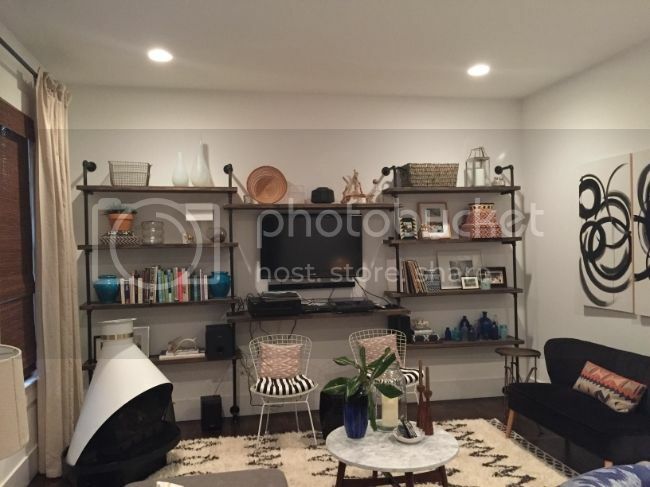 ), so hopefully these shelves will do the trick. I'm excited! 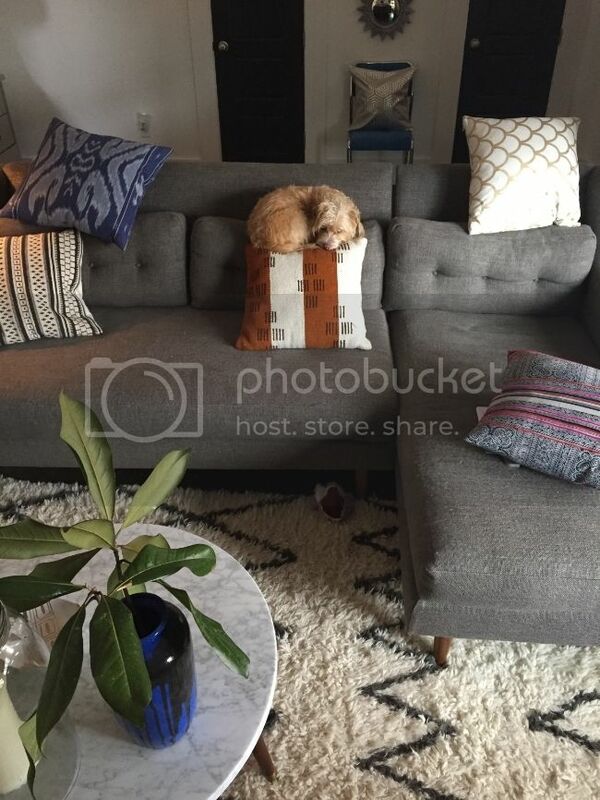 King Max and his pillows (actually this just really speaks to my pillow buying obsession). alright, that's it for now. About to head out the door to work. Have a great week. Hopefully I'll be back to check in again before the week is over! Oh,cute Many more happy birthday.Have a happy days.I am really glad to say i enjoyed a lot because entirely different post and different way of presenting.Presently it is very difficult to find this type genuine and different post.Again i hope i will get helpful ideas and improving tips from this blog. s and worried about counterfeit products, which hits hard on the Omega Watches Replica trust they put on made-in-China products and brands.This reimagined Replica Tag Heuer advertence 116523 is the antecedent beOmega replicaaring Rolex Daytona that aboriginal came out in 2000.